Spinarri EX Motorized Skewer: this motorized tool rotates your kebabs, so you don’t have to. 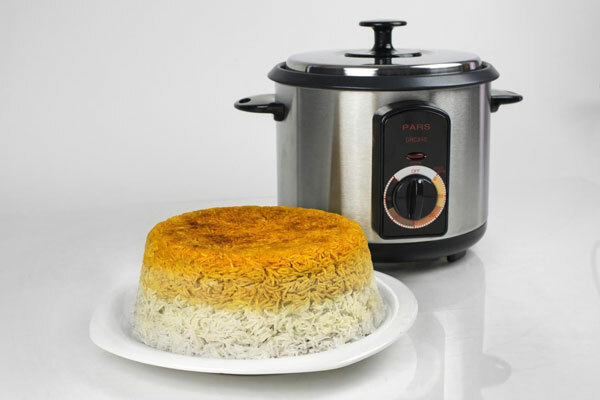 PARS Automatic Persian Rice Cooker: perfect for those of you who want to make rice dishes with tahdig. 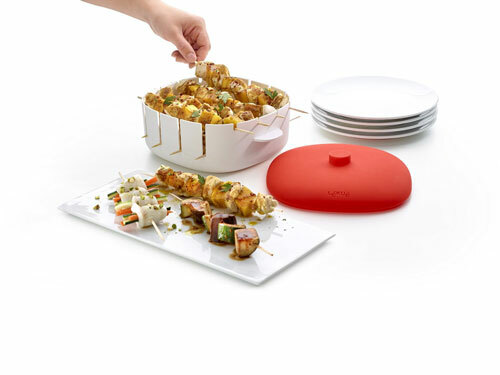 It features a removable Teflon non-stick pot, measuring line for adding water, and a removable cord. 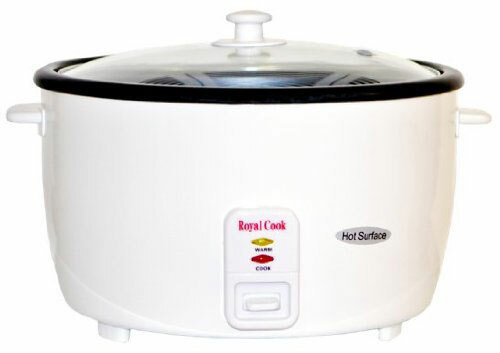 Royal Cook Persian Rice Cooker: available in 5 to 25-cup capacity. It has crispy/browning rice function. Persian Kobideh Maker: most Persians love kobideh and other kebabs. Thanks to this tool, you can prepare your seekh kebabs faster. 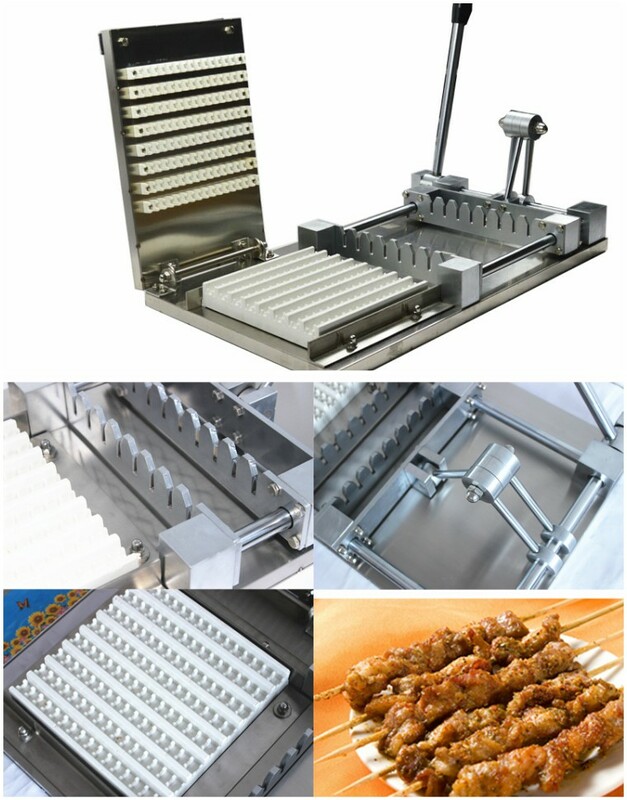 Kebab Koobideh / Kofteh Maker: another machine that lets you prepare kebabs faster. Simply add your ingredients, insert your skewer, and the rest is easy. 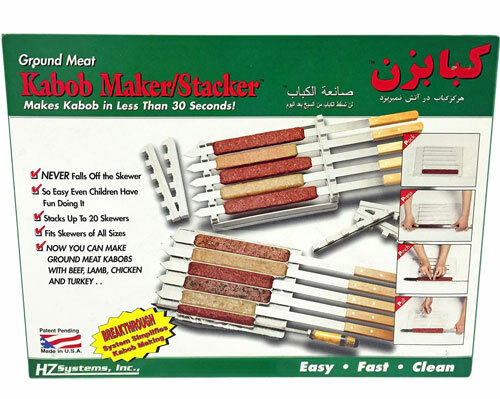 Kabob Maker and Stacker: allows you to stack up to 20 skewers of all sizes, saving you time in the process. 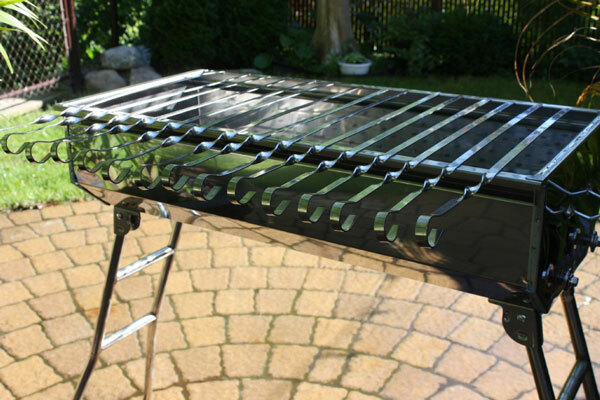 Portable Charcoal Kebab Grill: made of stainless steel, this grill can handle up to 20 skewers. It comes adjustable vents on both sides of the grill. 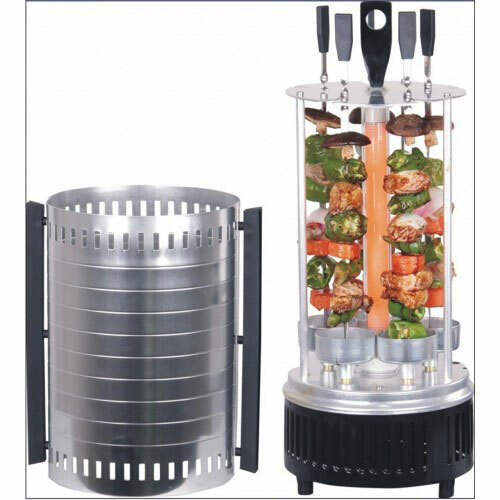 Lekue Kabob Cooker: lets you steam cook your kebabs. You can use wooden skewers to hold your meat. 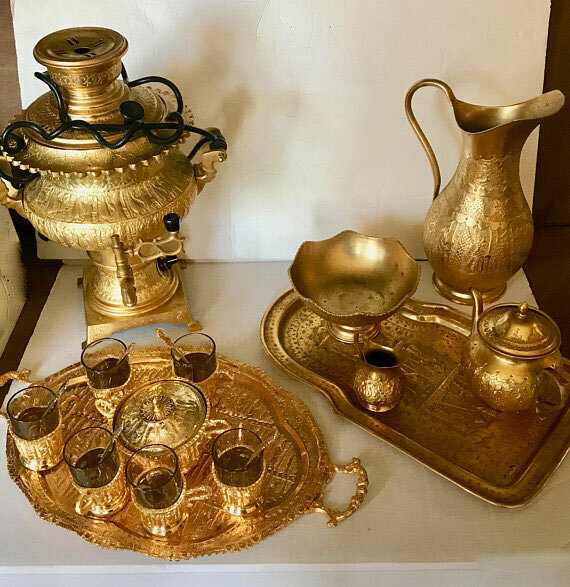 Gold Plated Antique Samovar: consists of 22 pieces for tea and coffee, including spoons, cups, creamer, pitcher, and creamer. 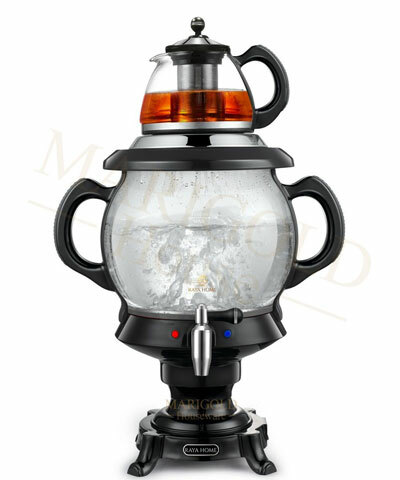 BEEM Odessa III Samovar: comes with a 3L water container and 1L tea pot. 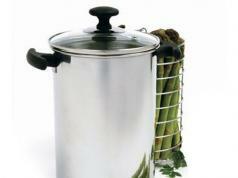 It has a stainless steel construction and auto shut off safety. 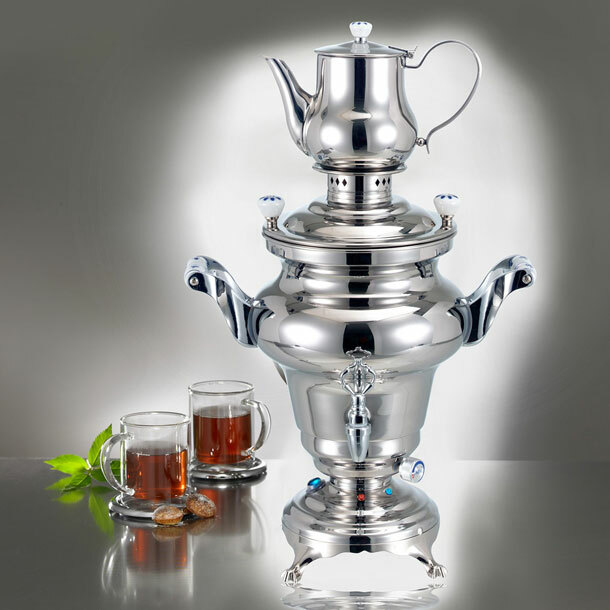 RAYA Electric Glass Samovar: a modern samovar with a glass body and 1 liter teapot. It has a stay warm function to keep the water at 80 degrees. 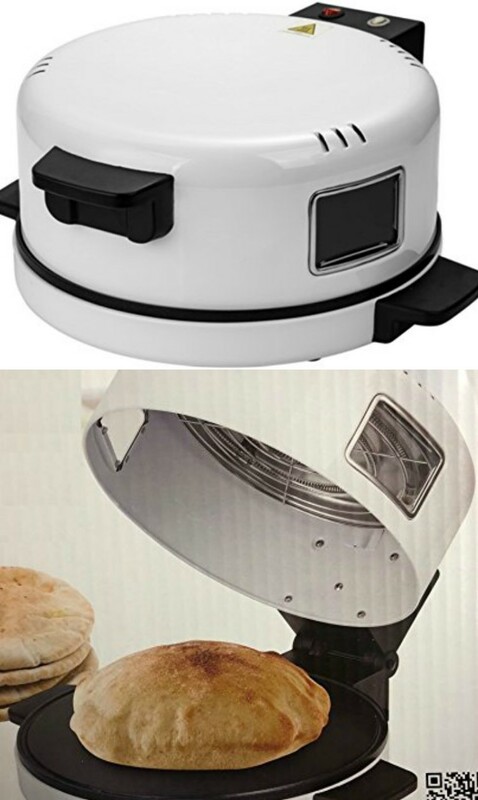 Persian Bread Maker: a non-stick toaster for pita and other types of breads. 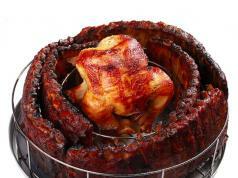 It comes with a high temperature burner and non-stick coating. Manual Wear Meat Kebab Machine: another tough little machine for putting meat on skewers. 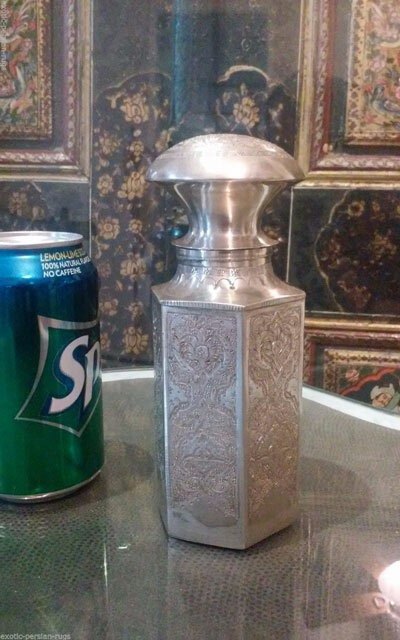 Persian Isfahan Tea Caddy: an Isfahan solid silver canister for tea lovers. 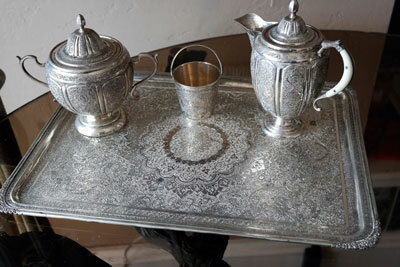 Silver Persian Tea Set: a beautiful antique tea set with a kettle, sugar bowl, and waste bowl. Have you found cooler gift ideas for Persian kitchens? Please share them hre.